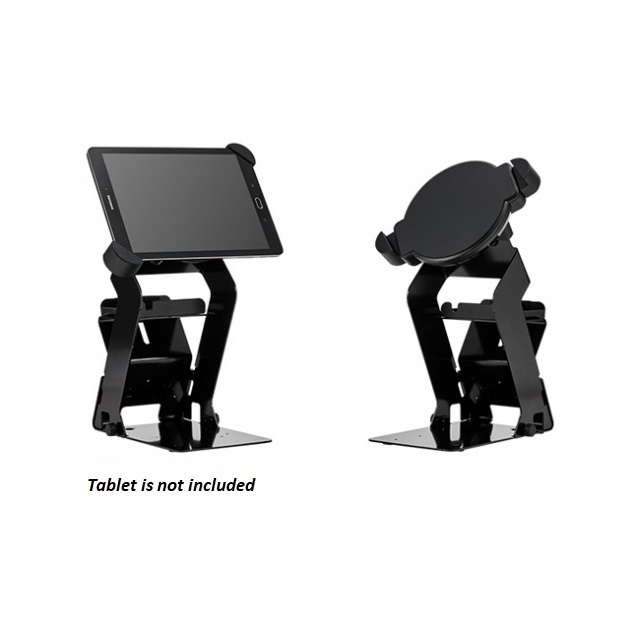 The Bixolon RTS-Q300 stand is an ideal tablet stand for the Apple iPad 9.7" Microsoft Surface Go and many Android tablets. It is designed to hold the tablet and also the SRP-Q300 series of printers together in a neat and convenient solution. The Bixolon RTS-Q300 stand is an ideal tablet stand for the Apple iPad 9.7" Microsoft Surface Go and many Android tablets. In fact, it is compatible with any 10.1 inch tablet with an edge that will fit within 6~10 mm corner slots. Much more than just a tablet holder the RTS-Q300 is able to be combined with various models in the SRP-Q300 series to give you an ideal platform for Cloud and Tablet based POS systems. - SRP-Q300 printer that has a built in battery giving you a fully battery powered tablet POS.